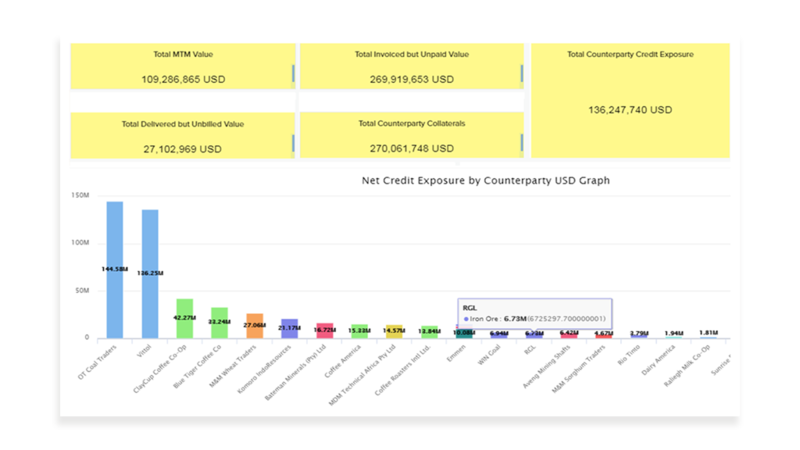 Control counterparty risks and potential credit incidents before they occur with complete visibility into credit utilization and potential breaches. 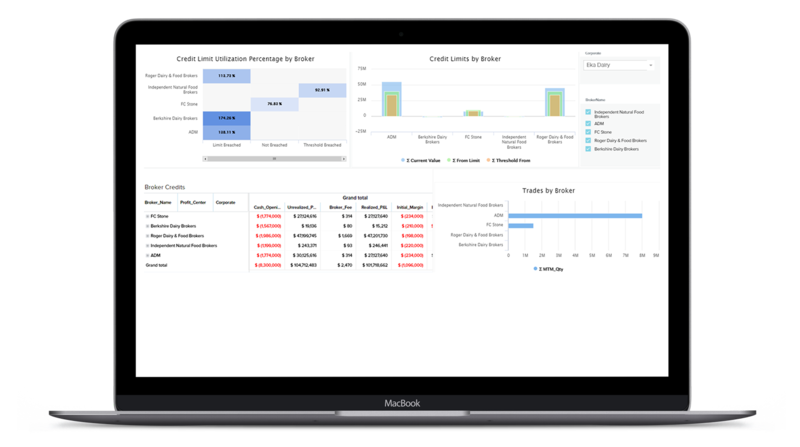 Manage credit risk by tracking credit exposure across counterparties with respect to mark-to-market value, unpaid invoices, uninvoiced deliveries and collaterals (Loans, LC, BG). 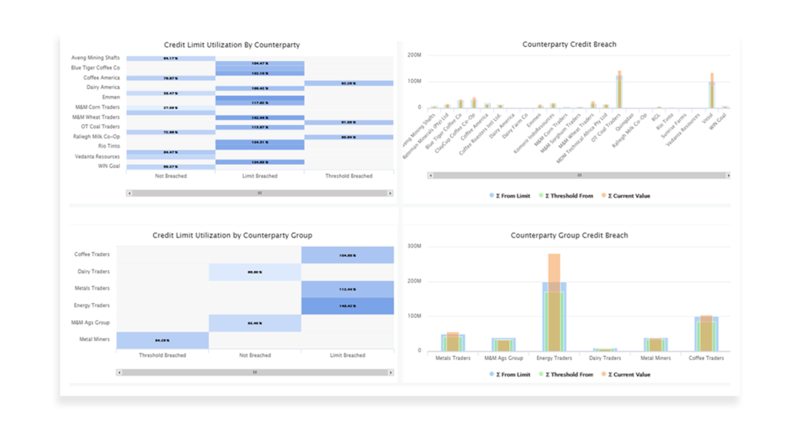 Set and manage credit limits against counterparties and counterparty groups, monitor limit utilization, and send alerts/notifications on limit breaches. Perform counterparty credit risk scoring based on information from external credit rating agencies (Bloomberg, S&P etc.) 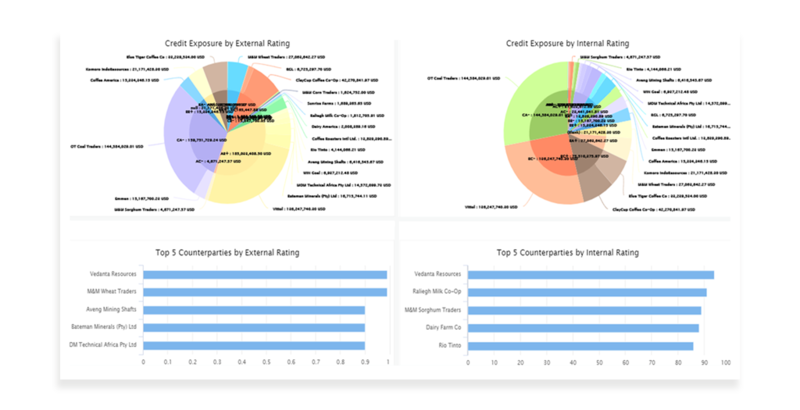 and internal credit scoring based on credit exposure, customer loyalty, number of defaults etc. 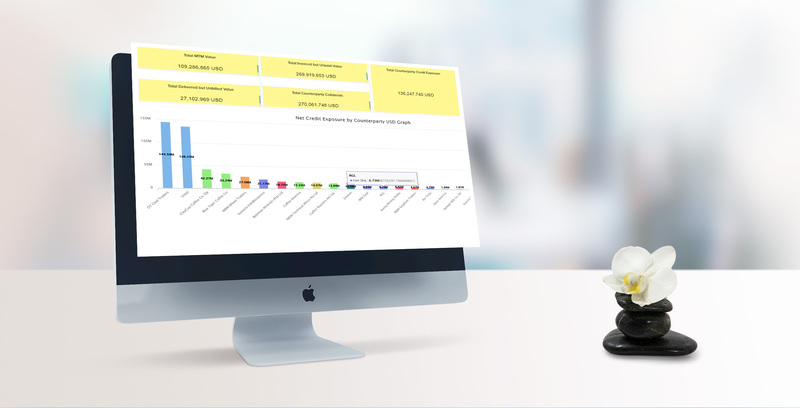 Track credit limit utilization by brokers by analyzing the initial margin, cash balance, fees, and variation margin. 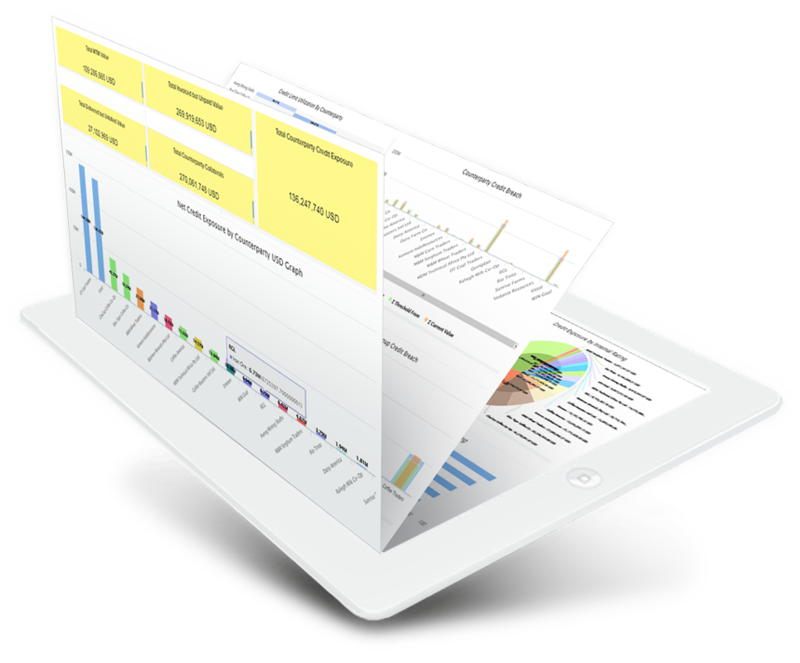 Track compliance breaches on maximum fees allowed, quantity, and dollar exposure.